Henley Offices - a superb range of purpose built home offices in a choice of stylish designs with the option of colour and accessories such as carpet, window blinds and desk choices. 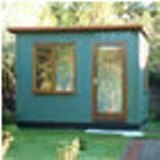 These fantastic home and garden offices are installed by a team of dedicated specially trained fitters who can erect your office in just a few hours as standard. 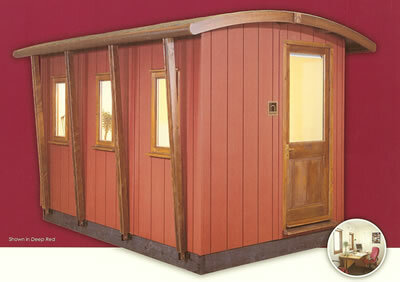 Your Henley home office will be ready to move in to and work from within approximately 6 weeks from the time of order. We are very pleased to become Agents for these well respected range of garden and home offices and we welcome visitors to come and see the quality and finish of the show office we have on display here which is the Henley Homespace "Orwell". We have samples of the window blinds and carpets and cross sections of the building to show the internal construction and insulation to satisfy you that you are buying a quality purpose built building. Henley Offices pride themselves on the quality of their buildings, the professional installation service and excellent after sales customer services. 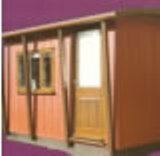 You will be able to set up your home office with the minimum amount of disruption to yourselves and enjoy many years of use (the actual design life is more than 20 years) whatever the weather. High residual value - adds significant value to your home. 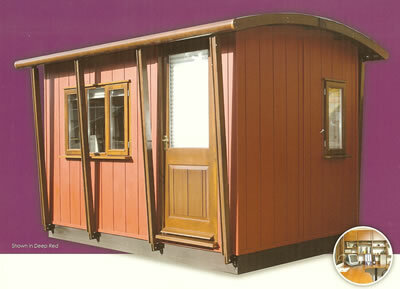 Henley Homespace Waveney garden office 3.2x2m (10'6"x6'8") fully insulated with modern styling and installed. 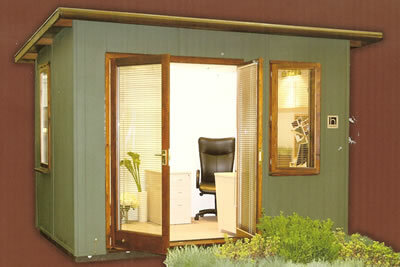 Henley MidiSpace garden office 3.8x3m (12'6"x9'10") fully insulated and installed. A larger home office with 12 sq meters (approx 161 sq feet) of space. 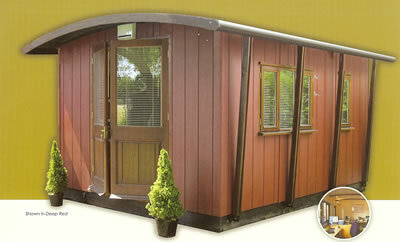 Henley VariSpace garden office 5x3m (12'5"x9'10") fully insulated and installed. A massive 15 sq meters (approx 129 sq feet) of home office space. 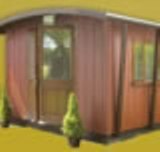 Henley Compact Vista garden office 3.2x2m (10'6"x6'8") fully insulated and installed. Complete with carpet.